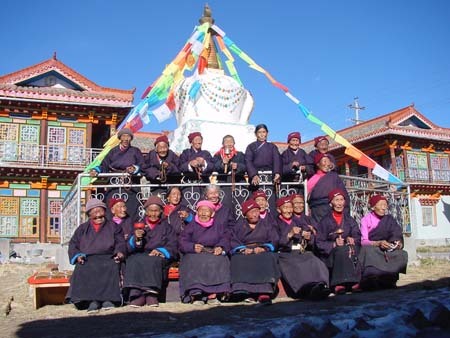 The Foundation NIMA social projects in Tibet wants to give light and warmth to people who are living in cold and lonely conditions. We support Tibetans who are old and sick, as well as children who need help. Old people in front of the NIMA Home for old people.